Chelsea look to QPR Goalkeeper to "replace" Petr Cech in the summer? As you would have read here and over the media this week, it seems that Petr Cech WILL decide his future this summer with all the indications being that he wants to play regular first team football. Following on from quotes made by Cech, there has been additional speculation that Chelsea will first demand a transfer fee of around £10m and secondly, that Cech would be free to choose his destination paving a way to remain in the Premier League next season! You can pretty much bet your mortgage on Cech leaving unless something drastic happens between now and the end of the season, so to the future and who Chelsea have their eye on to replace him? 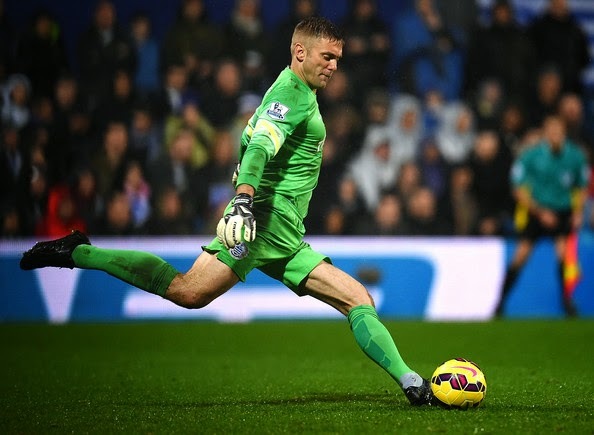 Well it seems, according to reports, that man is Robert Green of QPR. As we know, Green has tonnes of Premier League experience and at one stage was England's first choice Goalkeeper so comes with some pedigree. Yes, he has endured difficult times with QPR but has come out the other side and has made some fantastic saves this season despite QPR's lowly league position. I think it's safe to say that unless there is a drastic turnaround, QPR will find themselves back in the Championship next season so it will be interesting to see what Green himself would decide if Chelsea came knocking on the door? You would imagine that Green would like to continue playing first team football because, as with Petr Cech up until this season, it's been part and parcel of his career week in, week out. Do you think that Green would want to remain with QPR next season or even test the water to see if there is another team in the Premier League that would be interested in his experience? I just wonder if this is the time, as Tyler wrote yesterday, whether or not we should look to promote Jamal Blackman into the first team squad as number two next season? What do you people think on Green next season?